In our past roles as instructors, one of the things we wanted most was some way to automate sign-in sheets and attendance reports for instructor-led training administration. First, we had to cajole managers into providing staff for handling sign-ins and attendance monitoring. Then, we created and duplicated attendance rosters, but registrations seemed always to change right after we finished the paperwork. Then there was the set-up to direct and control traffic to the registration desk. If we were required to allow walk-in registrations, it got even crazier. When we needed to be getting our thoughts in order, testing equipment, and arranging instructional aids, we often got called in to deal with a registration issue. Reports…what reports? By the time we got reports done, nobody cared. What an ILT Admin App Should Be ? So, when we got the opportunity to develop electronic registration, attendance tracking, and reporting for group events, it was personal. We wanted to create the best experience possible for instructors, attendees, and support staff. We knew what it had to be. Enable instructors to prepare to deliver an engaging experience instead of scurrying around to manage check-ins. Simplify check-ins and registrations, so they require only a simple scanner to read a digital pass. Speed up check-ins and registrations, so you don’t have long lines of attendees grumbling about the wait. Eliminate data entry and manual registration. 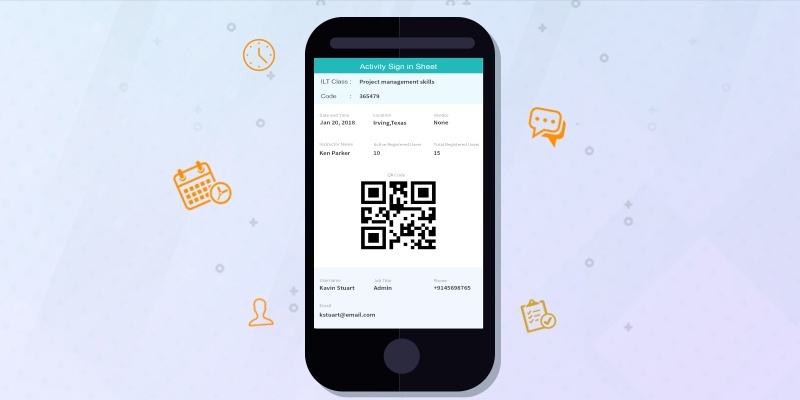 Create an app built for any device to create and manage instructor-led training events, send invitations, provide maps and directions, assign resources, and manage to-do lists and assignments. Integrate app with your LMS to provide instant reporting and analytics. 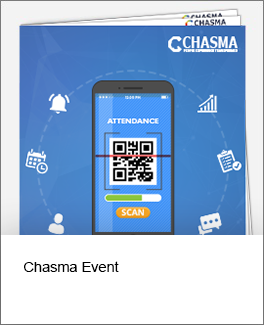 We think this is the minimum you should expect a training event app to do for you. In a word, no. Traditional classroom training is here to stay. Despite the current growth of e-learning, experiential learning, and video instructor-led training (VILT), in-person training remains the foundation of employee and partner training in most industries. According to the CLO 2018 Learning State of the Industry report, over 23% of organizations plan to increase spending on ILT. Even in leadership development, where blended learning techniques and experiential learning are essential to acquiring critical skills, nearly three-fourths of organizations depend on instructor-led training. Most organizations prefer ILT in the right situations because of its advantages. Updating e-learning courses can be difficult and expensive. If your content changes often, it is usually less costly and much easier to change your internally developed ILT. When live group discussion is a critical component of the learning environment, even virtual ILT has not proved to be a viable substitute. In role-playing situations, face-to-face scenarios are critical to learning, especially where active listening and body language are a factor. In cultural and ethics training where introspection and nuanced behavior are essential, in-person training by a skilled facilitator is frequently the most effective. In partner training and other situations where you sell training, consumers have a higher perception of value if they attend in-person training and are willing to pay for it. Some regulatory bodies require in-person training. Why You Should Automate ILT Management? The growth of platform technology, the Internet of things, and plug-in integrations have made innovations like this possible at a much lower cost than what it would take only a few years ago. Not only can you make administration for a group of any size simpler and more scalable, you can also do it at a low entry cost in a very brief time. You can build an agile workforce without the administrative hassles. Improve the quality of your reporting and analytics. Automate your ILT administration so you can focus on learning.